And so here comes a post after so-so long, suddenly I have felt the need to do things that are important to me and writing is one of them. My work which has taken away all my time need not be the only priority in life. This is how it begins and I hope I can start regularly posting especially in light of the coming few months where a lot is going to happen and most of which will be worth writing about. It definitely will not be me babbling about my life but will be about experiences and thoughts that result from what I am about to do in the next few months. So I hope this post will be the beginning of me becoming a regular blogger! 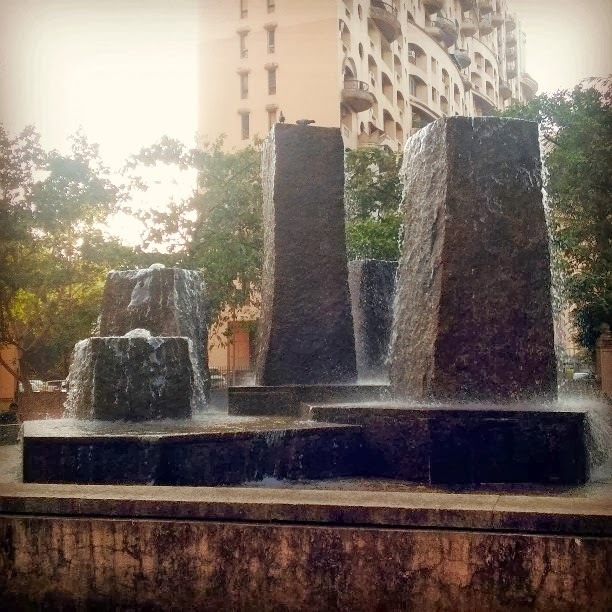 The picture below is of a fountain in Hiranandani in Powai, Mumbai. I don't see fountains too often!